Day 2 Delhi: On arrival in the Indian capital you will be met and transferred to your hotel. The remainder of the day is at leisure. Day 3 Delhi: Morning sightseeing tour of Delhi commencing in Old Delhi. Drive past the Red Fort before visiting Jama Masijd mosque and Raj Ghat, which is the cremation site of Mahatma Gandhi. The tour then continues in New Delhi with a drive past the India Gate then Rashtrapati Bhawan, once the imperial residence of the British Viceroys and now official home of India's President. Continue to 11th century Qutab Minar, the tallest stone tower in India. Day 4 Delhi/Jaipur: Travel by road to Jaipur (approx 6 hours drive) and on arrival the evening is at leisure. Day 5 Jaipur: Today's sightseeing begins with the fabulous Amber Fort, dating back to the 17th century. A jeep ride takes you to the top of the fortress where you can stroll through the sprawling complex of courtyards and halls, including the fascinating Sheesh Mahal (hall of mirrors). Later, visit the City Palace, home to exquisite palaces, gardens and courtyards while nearby is the famous Jantar Mantar Observatory. Day 6 Jaipur/Agra: Travel by road to Agra (approx 5 hours drive). En route visit Fatehpur Sikri, the deserted red sandstone city built by the great Mughal Emperor Akbar in the late 16th century. It was abandoned soon after it was built when the local wells went dry and remains much the same as it was over 300 years ago, with palaces and mosques. On arrival at Agra, visit the outstanding Agra Fort, which was the seat of Mughal rule for successive generations. Day 7 Agra: Early morning sunrise tour of the magnificently opulent Taj Mahal, built by the Mughal Emperor Shah Jahan as an expression of love for his wife. You will have ample time to view this stunning landmark before breakfast and the return journey by road to Delhi where your tour concludes. The price shown above for our Golden Triangle Discovery tour is based on great value, well-located and comfortable 3* hotels, so perfect for the budget-conscious. However 4* or 4*plus hotels in each city are available at a supplement for those in search of a more luxurious tour experience. Meals: Half board (except day 2 when dinner is not included). Tour price: The price shown is based on the best value travel dates in low season and includes international flights, transfers on arrival, coach tour, entrance fees, services of an English speaking guide, sightseeing as outlined and 3* accommodation. 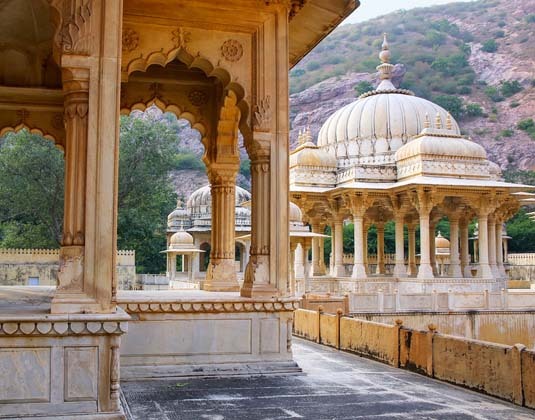 A classic tour taking in many of India's unforgettable sights and sounds. Higher grade hotels are available at a supplement if you fancy a little more comfort and style, while optional side trips offer you the chance to spot tigers in the wild or splurge with an overnight stay in an Indian palace.